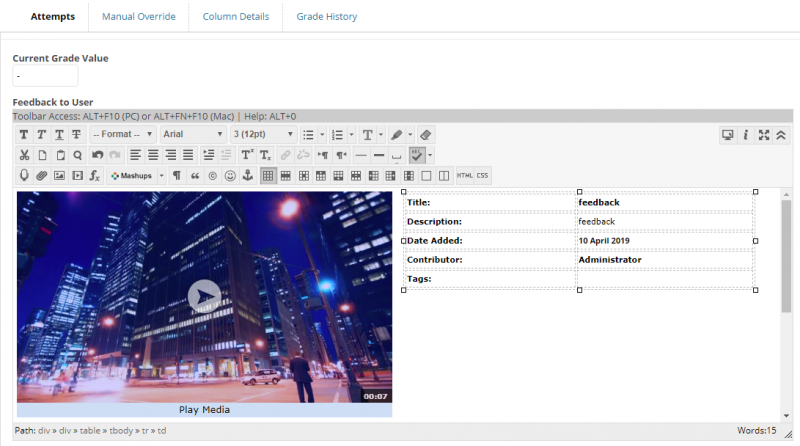 How do I upload media-based feedback to the Blackboard Grade Centre? Android is not currently supported by Medial. You should access Medial using an alternative operating system or device. Before you begin, read these tips for managing the size of media-based feedback files. Step 2: Ensure you have the Feedback to User editor visible. If you are marking work submitted online, click the ‘A’ icon in the right-hand grading panel to open the text editor. Step 3: Click and expand the Mashups button. Then select MEDIAL. (If this is the first time accessing Medial, you will be required to login using your usual network username and password. This is a one-time process and you will not be prompted to do this again). If you are unable to see the toolbar containing the Mashups button, you can expand to see all toobars by clicking the double arrows (top right of the Feedback to User box). Medial will open in a new window. 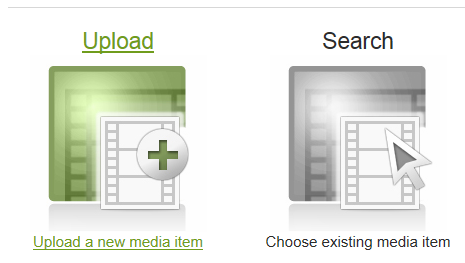 Step 4: Click Upload a new media item. Step 5: Click Browse to begin the upload process. Step 6: Locate and select the feedback file you wish to return to the student. Take note of the file formats that can be uploaded. Click Open. Step 7: Your file will begin to upload and a progress bar will indicate the progress of the upload. Once your file has uploaded (100% and the file name appears next to Uploaded File), click Next. Step 8: You will now be prompted to provide some details about the file you have uploaded. Enter a Title, set the Category to Personal (do not set feedback files to Default as media set to Default can be searchable by other staff), and a Description of no more than 1000 characters. Do not make changes to your email address. Click Next. Step 9: You will now have the option to view and change the Thumbnail for your file. Click Next. Step 10: You will now have the option to add associated files. Caption files are currently not supported, but you can add a range of Associated Files (maximum upload size of 10MB with a maximum of 3 associated files) in the formats specified. Click Next. Step 11: Confirm all details by clicking Next. Step 12: You will now have the option to specify Media Size and Style. It is suggested to leave these as default. Click Next. Step 13: A confirmation message will appear and your media will now appear within the Feedback to User box. Click the combination of Save or Submit buttons until you return to the Grade Centre. Ensure a mark has been entered against the Attempt. How do I add marks and feedback in Grade Centre for student work submitted offline? How do I add marks and feedback in Grade Centre for student work submitted online?